Mr. Charles E. Cain, 91, of Southaven, passed away January 23, 2019 at his residence. Funeral services will be held at 12:00 noon Saturday, January 26th at Culpepper Funeral Home Chapel; burial to follow at Seneasha Cemetery in Goodman. Visitation will begin at 10:30 am Saturday prior to the service at the funeral home. Rev. Gene Richardson will officiate. 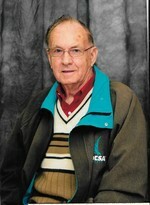 Mr. Cain was a former Supervisor and Welding Shop Manager at Moore & Sons in Memphis, TN. He was a member of Sallis Baptist Church. He is survived by daughter, Debbie Lindsey; son, Danny (Sondra) Cain; sisters, Jewel Hathcock, Virginia Huffman; grandchildren, Shane (Amy) Horne, Jonathon Horne, Ryan (Cate) Cain, Daniel Cain, Suzanne (Jeffery) Grayson, Brandy Joiner; 13 great grandchildren. He is preceded in death by his parents, C.T. & Tiny Lee Herring Cain; brothers, Homer Lee Cain, Luther Cain; sisters, Hattie Lois Shelly, Edna Mae Rosamond, Ruby White.